That's a wrap on the first half of 2018! Now, let's go back to January 1st. Remember those New Year's resolutions that you set for yourself? Haven't quite had a chance to finish any? Don't worry, us too. We are all guilty of making those well intentioned and ambitious New Year’s resolutions, including losing weight, making healthy food choices, traveling and of course, spending less and saving more. Unfortunately, sometimes we fail to do good on our promises. Don't worry though - you still have time to make your resolutions and goals a reality. It’s all about the approach and you can still achieve that “new year, new me” motto you aim to embody. 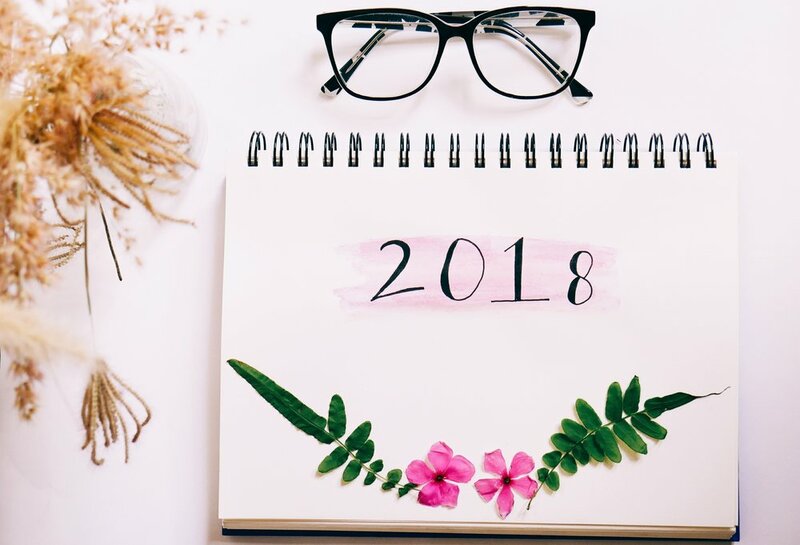 Check out five ways to stay on track over the next 180 days and remain committed to your resolutions. Seeing your resolutions on paper can help you be more committed. Try to journal three to four times a week for at least 30 minutes to an hour. Your journal is for you, so you can write about absolutely anything that’s important to you. A good start is making a gratitude journal or a goal’s journal. When you reflect and write about what you are grateful for you will feel happy and inspired. If you decide to write goals, it is helpful to give yourself deadlines to complete the goal so that you make it happen. Remember, every Monday is a new beginning of the week which means new goals. It’s important to set a few personal and professional goals for the week to ensure you are staying on track and being productive. Most of us have group messages with friends or family so even proposing the question every Monday morning of “what is everyone’s weekly goal?” can also help others out. One of my personal favorites is to challenge myself to eat the meals I have prepped at home Monday through Friday. Try it! You will eat healthier and save your coins! Having a friend or family member to keep you accountable is the best way to stay on track with your resolutions. This works really well with working out. For example, you can make sure you go to the gym with each other three times a week. It’s always more fun to workout with partner and motivate each other. It is never too late to make a vision board even halfway through the year. Grab some old magazines, scissors and start finding images or words that will keep you motivated. This is a great activity to do with friends, family or even coworkers. Once you are finish you should hang it up in your bedroom or by your desk to as a reminder of your vision for the year and what you aspire to be. Take time for a “Me Day.” Go and do something special for yourself. It could be something as simple as taking a ride on your bike or going to your favorite spa for a massage. The point is to celebrate yourself. It’s a great way to reduce stress and clear your mind so you can continue to achieve your resolutions. Remember it is okay to treat yourself every once in a while!